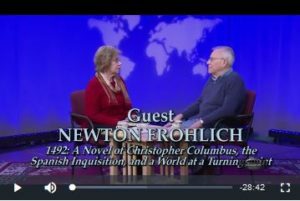 Newton Frohlich was interviewed on the TV program Books and the World, where he talked about his new book 1492: A Novel of Christopher Columbus, the Spanish Inquisition, and a World at the Turning Point. Books and the World is the longest running book show in the nation, showcasing authors in 30-minute interviews about their recent books. 1492 unfolds the story of Christopher Columbus in a way you’ve never heard before. 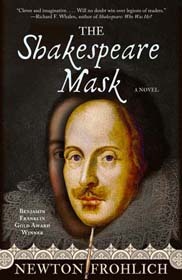 Newton Frohlich brings to life a cast of strong-willed characters against the backdrop of the 15th century—a complex and turbulent time when the Muslim world was struggling to keep the West in an economic vise, the Christian world was fighting back against their control of its trade routes, and the Jews were caught in the middle. 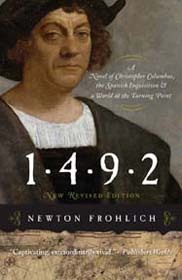 Frohlich deftly reveals little-known facts about Columbus and his times that have sobering parallels to today, including political power struggles, the behind-the-scenes intrigue at the court of the imperious Queen Isabella, the role of the Spanish Inquisition, and how Columbus had to hide his true identity and background in order to accomplish his ingenious goals.